This dish might not look anything special but the flavor combination of Feta, Thai basil, Thyme and Chilli is amazing. Add some extra virgin olive oil to your frying pan with the thyme and chilli flakes and when the oil is hot add your asparagus. 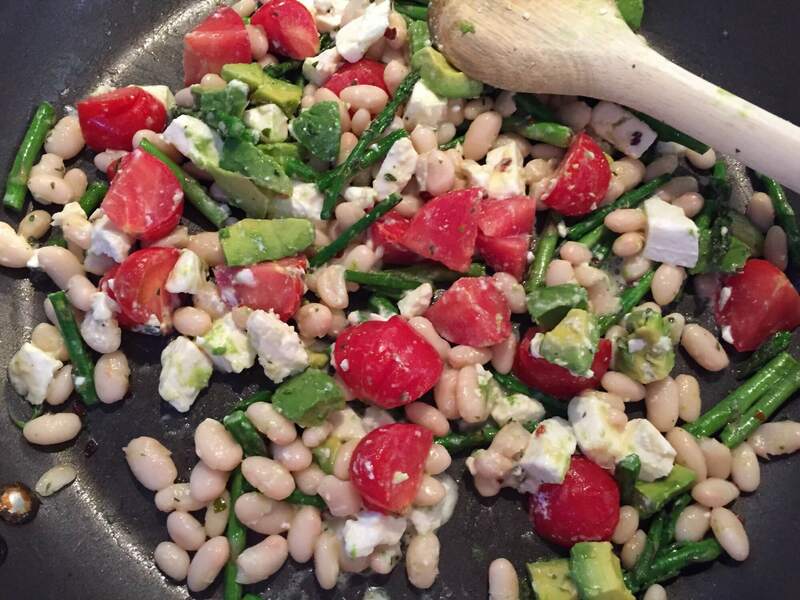 When the asparagus are cooked add your beans, cheese, tomatoes, avocado, spinach and Thai basil and mix. Warm all your ingredients through but make sure you wont melt the cheese completely.